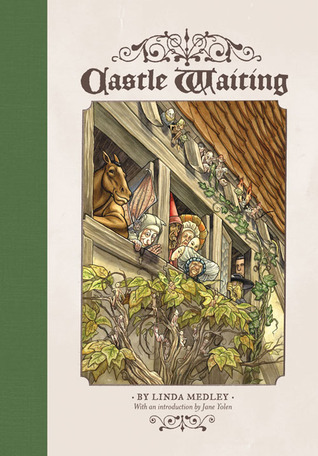 Literary Lindsey: It's Monday again, so let's talk about books and snow! It's Monday again, so let's talk about books and snow! Hello again! Fancy meeting you here. I'm sure you all know about the craziness that is going on with some book bloggers these past few weeks, so I won't rehash here. But I do want to say thank you to the bloggers who encourage us all to be honest about our reading and our lives. They give us the courage to admit our struggles to read faster, blog more, and be some sort of perfect super people. When we can see each other's imperfections and humanity, we all become kinder and better people. I really have trouble with putting books aside if they are not working for me, but I am trying to be better about that. 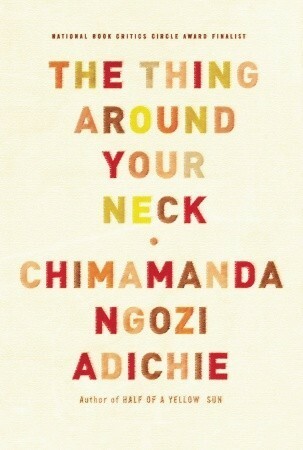 There are too many books out there for me to continue reading books that I am not enjoying. In the case of this particular book, I felt like I had read a lot of pages where nothing had actually happened. 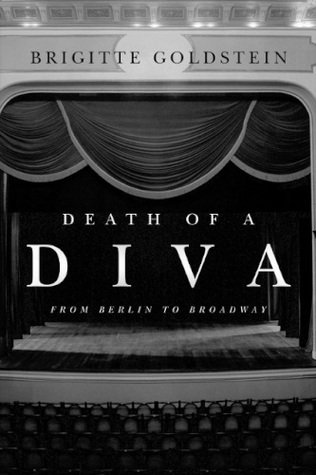 The conceit of the story was a young woman who was shocked by the death of a beloved actress. But the girl in question had only met the actress once and I was never sure why she would feel that loss so deeply. Instead of the murder story connecting to WWII as promised in the description, the author seemed to spend a lot of time going off on tangents about the young woman's parents or living in New York City. I wrote my weekly It's Monday post and discussed the books I had read, reviewed Some Luck, Lost and Found, Etta and Otto and Russell and James, and wondered about the classic novels that you didn't love with The Problem with Classics. I don't move in the circle I guess of book bloggers who get caught up in drama, just come across it occasionally. The Sound of Music story looks interesting. Hope you enjoyed it. I know nothing about the drama, either, luckily. I'm very interested in the book about heroines. How did you like The Sound of Music Story? The Sound of Music Story was great. I learned so much about one of my favorite movies! That sound like a nice service, I like how spending time together and sharing food can bring together. I agree! So much of creating community is just in being together and getting to know each other. I didn't know there was any drama, but guess it's maybe a US thing?! I always try to be honest. But polite. 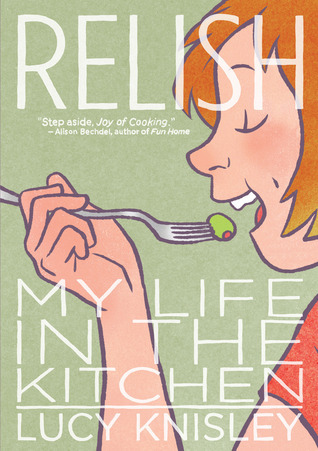 I loved Relish, and everything else by Lucy Knisley. Hope you enjoyed it also! The snow was crazy here as well, I was out of work for two days this week (plus President's Day! ), and my car stayed buried all week. It was insane! Now I have to pick up the rest of her books! Relish was great. What do you think of How To Be A Heroine? I like the sounds of it. I rarely finish books I'm not enjoying - there are too many other great books out there to spend time with rather than wasting time on something you don't like. I just started it but it's very interesting so far. The author contrasts the heroines of literature with her own life and it's so fun to reexamine the characters you have loved for years. 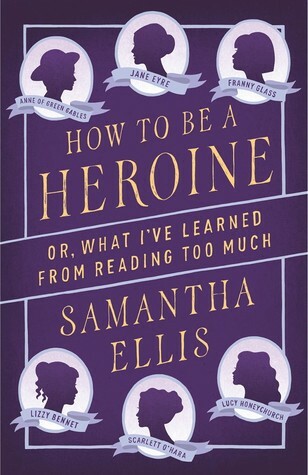 How to Be a Heroine looks like a fun read for us book lovers! That's what I've been saying! Winter snow is beautiful when your fridge is stocked, the power stays on, and you don't have to go out anywhere! Woah, that was quite some journey - I hope it was worth it. Haha! Relish looks interesting, look forward to your thoughts on that one. In terms of book reviewing, I think honesty is the most important thing for all parties involved. I really liked Relish and the author has a whole bunch of other graphic novels. I'm excited to dig in! I struggle to put books aside if I'm not enjoying them, but I'm getting better at it. 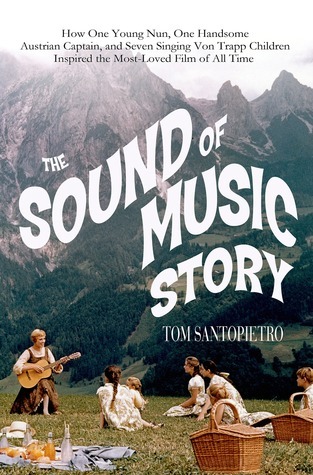 The Sound of Music book looks good, many years ago I did the Sound of Music tour in Salzburg, it was fun! I'm trying to be better too. It seems like it should be easy, but it's just not! The Sound of Music tour sounds so fun. They talk about it a bit in the book.